Panagbenga Festival or Flower Festival in English according to Wikipedia is "a month-long annual flower festival occurring in Baguio, the summer capital of the Philippines.The term is of Malayo-Polynesian origin, meaning "season of blooming". Please call or text + 63 919 893 7236 or inquire at mariarona.beltran@yahoo.com for details. Please tell us how many are you joining. 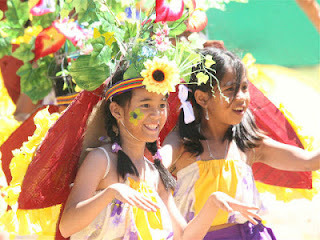 07:00am Watch Panagbenga Float Parade. 12:30pm Drop off at Baguio Public Market to buy "Pasalubong"